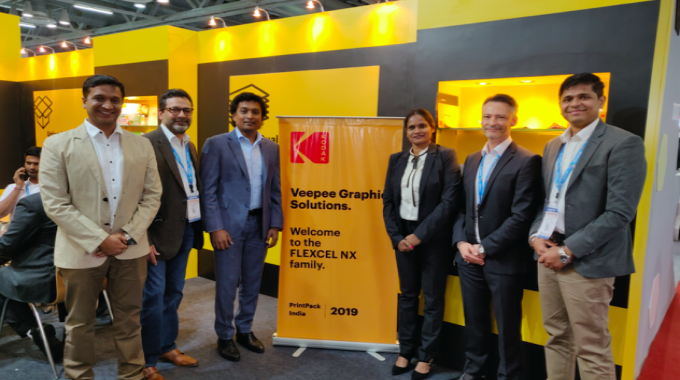 Indian pre-press trade house Veepee Graphic Solutions has invested in a Kodak Flexcel NX Wide 4260 system with Kodak Prinergy screening tower. On the investment, Jaichandra, director at Veepee Graphic Solutions, said: ‘We have been aware of Kodak Flexcel NX technology since its introduction. With growing market demand for high-quality flexo plates and faster turnarounds in a competitive environment, we chose the Flexcel NX system to deliver quality with excellent productivity. Bundled with the Prinergy screening tower, we have a lot to explore in terms of technology.